THE FOLLOWING TERMS AND CONDITIONS GOVERN OUR AGREEMENT TO PROVIDE SERVICES TO YOU AS THE CUSTOMER. IT IS IMPORTANT THAT YOU READ THESE IN FULL AND CAREFULLY. WHEN YOU ENTER INTO AN AGREEMENT WITH US YOU AGREE TO BE BOUND BY THESE GENERAL TERMS AND CONDITIONS. “Services” means the services and/or products to be provided by The Wise Owl Partnership. “Agreement” means any agreement to which these General Terms and Conditions together with any Specific Terms and Conditions for your Services are incorporated. 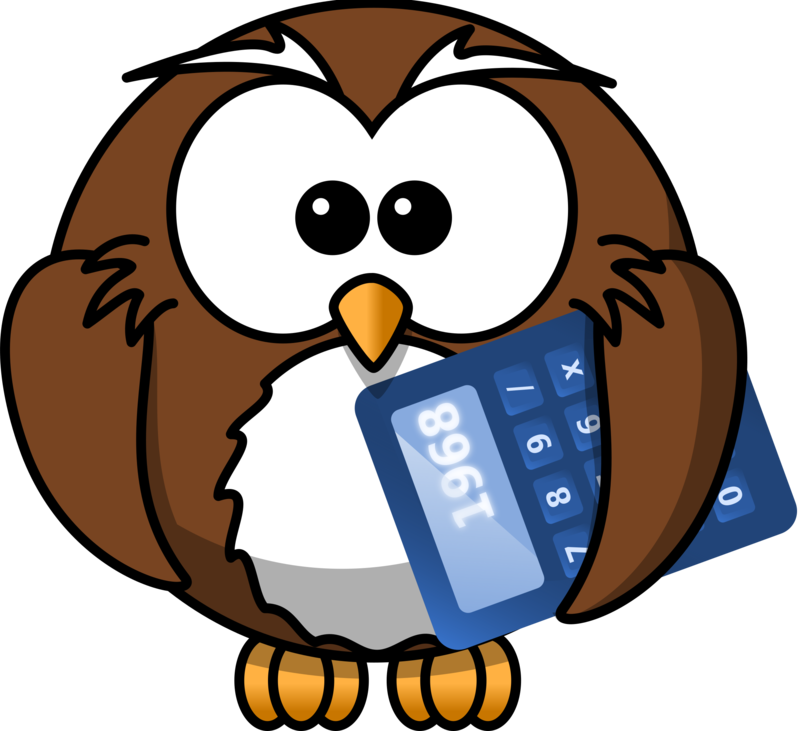 “You” means the person or company who purchases Services from The Wise Owl Partnership. “Us” means the Partners of The Wise Owl Partnership, a Partnership formed in England and our office is at Corfe Lodge, Corfe, Taunton, Somerset TA3 7AN. 2.1 These General Terms and Conditions together with any Specific Terms and Conditions for your Services form the Agreement between You and Us. If any of these General Terms and Conditions are inconsistent with any Specific Terms and Conditions for your Services, then the Specific Terms and Conditions will prevail. 2.2 By signing up for the Services You warrant that You are capable of entering into a binding contract, or are acting with the express permission of a person or organisation and using the payment details of that person and that they also agree to be bound by the terms of this Agreement. You also agree to comply with and adhere to any and all applicable laws and regulations in relation to this Agreement. 3.1 You certify that by purchasing any of our Services that You are 18 years or older. 4.1 This Agreement will only commence when we provide You with written confirmation that your Order has been accepted and will remain in force and effect until the completion or delivery of the Services, subject to earlier termination as provided in this Agreement. 5.1 We agree to supply our Services to You in accordance with the terms set out in this Agreement. 5.2 We will endeavour to supply the Services to You as soon as reasonably practicable and in the event that we become aware of any reason for delay we shall notify You. 5.3 By signing up for the Services You undertake to provide Us within 3 calendar months of the date of Our request the information we require from You in order to supply the Services. 6.1 When entering into this Agreement as a consumer (not in the course of conducting business) the Consumer Contracts (Information, Cancellation and Additional Charges) Regulations 2013 (“the Regulations”) applies. In accordance with the Regulations we must not commence the supply of our Services to You for a period ending 14 days after your Order is accepted by Us, unless You expressly agree for Us to commence service sooner. 6.2 Please note that by signing up to our Services You expressly agree to Us commencing supply of the Service before the cancellation period has expired. As a result, You will not have the right to cancel this Agreement under the Regulations. 6.3 For the avoidance of doubt, if You use our Services in the course of business, You will be treated as a non-consumer and statutory consumer protection will not apply to this Agreement. 6.4 You are entitled to cancel a request to supply a Service by notifying Us in writing provided we have not commenced supply of the Service. Cancellation requests will not be deemed to have been received and accepted until we have issued our written confirmation to You. 6.5 We reserve the right to refuse to supply, cancel or suspend Services at any time without prior notice if You breach any of the terms of this Agreement. You will be liable to an hourly charge of £65 per hour for our time spent on the supply of Services which are incomplete or not delivered as a consequence of our refusal to supply, cancel or suspend Services under this clause. 7.1 Payment in respect of all Services is on demand after the Services have been delivered or at the termination of this Agreement, whichever is soonest. 7.2 We will issue an invoice when payment is due. All invoices are delivered electronically. You are responsible for checking receipt of all invoices. No hard copy invoices will be sent by post. 7.3 All payments must be made in UK pounds sterling. Payments can only be made by cheque or bank transfer. 7.4 You warrant that You are authorised to use your chosen method of payment. If You are not the named cardholder, You acknowledge that You and the named cardholder both agree to be bound by the terms of this Agreement and are jointly and severally liable for all payments under this Agreement. 7.5 You agree to indemnify and hold Us harmless in the event that the cardholder or issuer declines any payments to Us including all of our costs in administering your non-payment and obtaining the payment due to Us by You. 7.6 Any non-payment of a recurring invoice may be subject to an administration charge of £65 per hour. You are responsible for all money owed to Us under the terms of this Agreement until it is ended. You are also responsible for any additional costs incurred by Us in taking steps to recover any sums due by You. 7.7 If your chosen payment method is refused for any reason You must notify Us immediately and provide Us with payment using an alternative method. 7.8 We reserve the right to pass your debt onto a third party debt recovery agent and You accept all liability for the recovery of our costs from You. 8.1 All fees for Services are payable on demand and are non-refundable. 9.1 You are required to provide Us with valid contact details during the duration of the Agreement. 9.2 You warrant that the contact information You provide to Us is correct and that You will update this information from time to time as required. You agree that we may refuse to provide You with Services if we reasonably believe that the information You have supplied is inaccurate. 9.3 We reserve the right to email You with details about our Services that we believe may be of interest to You from time to time. 10.1 We will not be liable for any loss or damage of any nature suffered by You arising out of or in conjunction with any breach of this Agreement by You or any act, misrepresentation, error or omission made by You or on your behalf. 10.2 We will not be liable for any indirect loss, consequential loss, loss of profit, revenue, data or goodwill howsoever arising suffered by You or for any wasted management time or failure to make anticipated savings or liability You incur to any third party arising in any way in connection with this Agreement or otherwise, whether or not such loss has been discussed by the parties pre-contract or for any account for profit, costs or expenses arising from such damage or loss. 10.3 No matter how many claims are made and whatever the basis of such claims, our maximum aggregate liability to You under or in connection with this Agreement in respect of any direct loss (or any other loss to the extent that such loss is not excluded by other provisions in this Agreement) whether such claim arises in contract or in tort shall not exceed a sum equal to the fees paid by You for a specific Service in relation to which your claim arises during the 6 month period prior to such claim. 10.4 Nothing in this Agreement shall exclude or limit our liability for any liability which cannot be excluded or limited under applicable law. 11.1 We shall not be responsible for any failure to provide any Service or perform any obligation under this Agreement because of any act of God, strike, lock-outs, or other industrial disputes (whether our employees or any other party) or compliance with any law of governmental or other order, rule, regulation or direction, accident, fire, flood, storm or default of suppliers, work stoppage, war, riot or civil commotion, or other similar force beyond our reasonable control. 12.1 Our failure to require You to perform any of your obligations under this Agreement shall not affect our right to require such performance at any time in the future and nor shall the waiver by Us of a breach of any provision be taken or held to be a waiver of the provision. 13.1 The provisions, terms, conditions, representations, warranties, covenants and obligations contained in or imposed by this Agreement which by their performance after the termination of this Agreement, shall be and remain enforceable notwithstanding termination of the Agreement for any reason. However, neither we nor You shall be liable to one another for damages of any sort resulting solely from terminating this Agreement in accordance with its terms. 14.1 You agree that any notice or communications required or permitted to be delivered under this Agreement by Us to You shall be deemed to have been given if delivered by email, in accordance with the contact information You have provided. 15.1 All Intellectual Property and related material that is developed or produced under this Agreement will be the property of Us. You are granted a non-exclusive limited-use licence of the Intellectual Property belonging to Us. 15.2 Title, copyright, Intellectual Property Rights and distribution rights of the Intellectual Property remain exclusively with Us. 15.3 You accept that all Intellectual Property Rights belonging to Us shall at all times remain vested in Us. 16.1 Your rights and obligations and all contemplated by this Agreement shall be governed by the law of England and Wales and You submit to the exclusive jurisdiction of the English courts. 17.1 If any legal action or proceedings, including arbitration, relating to the performance or the enforcement of any provision of this Agreement is commenced by either You or Us, the prevailing party shall be entitled to recover reasonable legal fees, costs and disbursements from the other party, in addition to any other relief to which the prevailing party may be entitled. 18.1 You shall not assign, sub-licence or transfer your rights or obligations under this Agreement to any third party without our prior written consent. 18.2 In the event that we consent to an assignment, sub-licence or transfer, then this Agreement shall be binding upon both You and Us and your successors and permitted assigns. 19.2 You further agree to review the terms and conditions regularly to ensure You are aware of any modifications and You agree to be bound by such modifications unconditionally. 20.1 This Agreement does not provide and shall not be interpreted to provide any third parties with any remedy, claim, cause of action or privilege. 21.1 This Agreement constitutes the entire Agreement between the parties and agreements are representations or warranties, express or implied, statutory or otherwise and no agreements collateral hereto than as expressly set or referred to herein. 21.2 This Agreement supersedes any prior agreements, representations, statements, negotiations, understandings, proposals or undertakings, oral or written, with respect to the subject matter expressly set forth herein. 22.1 Nothing in this Agreement shall be construed as creating an agency arrangement, partnership or joint venture between the parties. 23.1 In the event that any of the provisions of this Agreement are held to be invalid or unenforceable in whole or in part under any applicable law or pursuant to a court decision, all other provisions will nevertheless continue to be valid and enforceable with the invalid or unenforceable parts severed from the reminder of this Agreement.